Some of my favorite bath, body and fragrance picks for the holidays! TOCCA Florence Luxury Spa Set ($78 ; sephora.com) - Tocca's best selling fragrance Florence in a bubble bath, EDP and mini candle. Jo Malone Holiday Fragrance Collection ($100; shop.nordstrom.com) - Mini sizes of Jo Malone's Lime Basil and Mandarin, English Pear and Freesia, Blackberry and Bay, Amber and Lavender & Peony and Blush Suede. 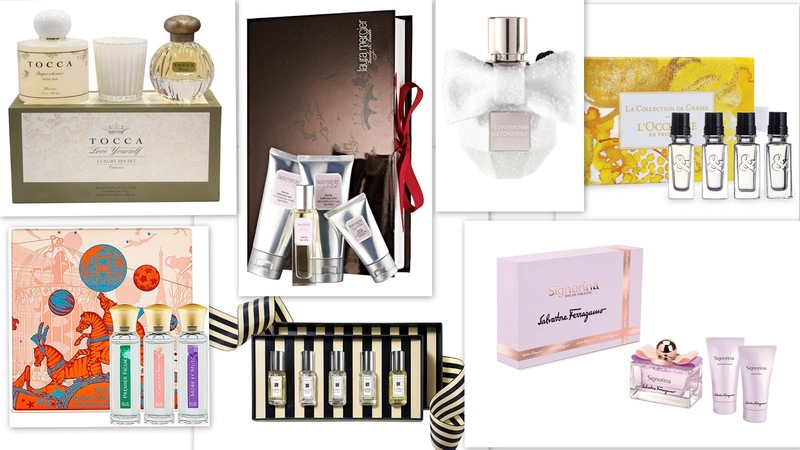 Salvatore Ferragamo Signorina Eau de Toilette Gift Set($89 ; macys.com) - Salvatore Ferragamo's Signorina in an EDT, Body Lotion and Body Wash.
Laura Mercier Bath & Body Travel Quartet Fresh Fig ($50 ; lauramercier.com) - Laura Mercier' Fresh Fig Fragrance in a Body Wash, Body Butter, Eau Gourmande and Hand Cream. REN Luxury Rose Set ($78; shop.nordstrom.com) - REN's Moroccan Rose Otto Body Wash, Sugar Body Polish and Ultra Moisture Body Oil packed in a gift box. Lavanila Mini Deo Trio ($22; sephora.com) - Three mini sizes of Lavanila's Vanilla Coconut, Vanilla Grapefruit and Pure Vanilla deo. L'Occitane Shea Embrace Set ($69 ; usa.loccitane.com) - Shea Hand Cream, Shea Foot Cream, Shea Body Cream, Shea Soap Milk, and Shea Ultra Rich Shower Cream packed in a gift box. 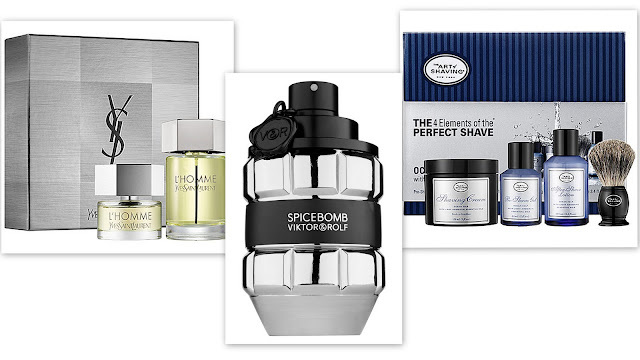 Viktor & Rolf 'Spicebomb Titanium' Eau de Toilette ($110 ; shop.nordstrom.com) - Spicebomb packed in a limited edition packaging. THE ART OF SHAVING The 4 Elements of the Perfect Shave ($115 ; sephora.com) - Full sizes of The Art Of Shaving's Shaving Cream, Pre-Shave Gel, Aftershave Lotion & Pure Badget Black Shaving Brush. 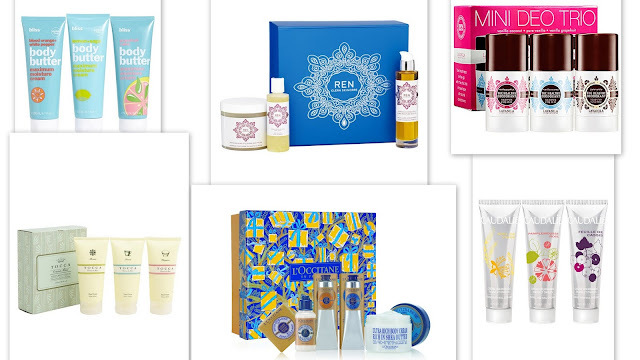 Have you tried any of these fabulous holiday sets? What are your favorites? * NO Affiliate links have been included. Some products mentioned were press samples sent for consideration.